How Far is Ranade Nav Ashish? 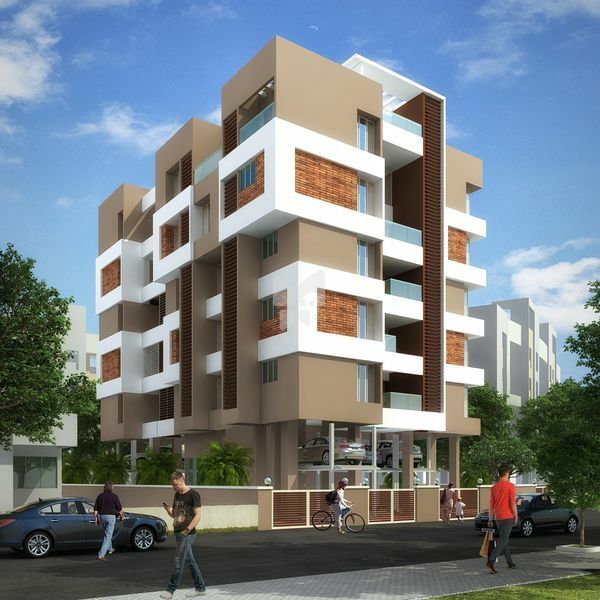 Ranade Realtors is excited to report that they have ventured in the Redevelopment Business by undertaking redevelopment of Nav Ashish Apartments at Tulshibaugwale Society, Sahakarnagar, Pune. The project will consist of super luxurious and well designed residential spaces consisting of three and four bedroom homes. Earthquake resistant Reinforced Cement Concrete (RCC) Framed Structure. Good quality solid core wooden flush doors. Good quality, durable Brass-SS fittings on all doors. Decorative main entrance door. Powder coated Three Track sliding aluminum windows with mosquito nets and M.S safety grills. Granite window sills. Elegant branded 2’x2’ vitrified tiles in rooms. Anti-skid tiles in bathrooms. Granite kitchen platform upto 10’ with stainless steel sink of Nirali make or equal and glazed tile dado up to lintel level. Concealed electrical work using Polycab / Finolex cables and elegant modular switches of good quality. Smooth POP for all interior wall surfaces in flats and sand faced cement plaster for building exterior. Ceramic Flooring with dado upto 7’. Moveable aluminum louvers in all bathrooms. Concealed plumbing. Jaquar or equal fittings in all bathrooms. Vitreous china white sanitary ware of standard make. Oil bound distemper on walls and ceiling & synthetic enameled oil paint on doors.